Heating and cooling adds up to approximately half of your household energy costs. Upgrading to a WiFi Thermostat is about more than precision temperature control. According to the EPA’s Energy Star program, you can expect to trim around $180 per year from your heating/cooling expenses. 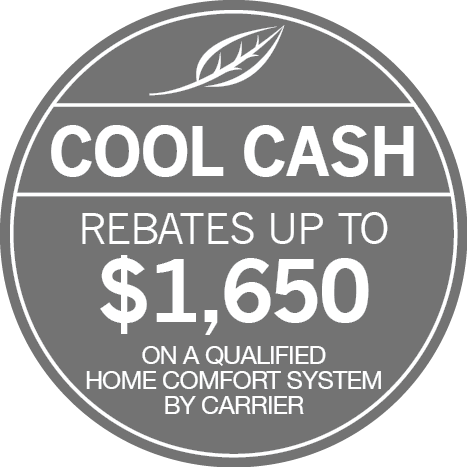 Plus, you’ll enjoy greater convenience and comfort, while taking better care of essential HVAC equipment. If you’d like to learn more about the many perks of a smart thermostat, give Steel T Heating & Air Conditioning a call at (303) 872-8849 for service throughout Denver Metro Region. At Steel T Heating & Air Conditioning, we keep up with modern innovations to bring you the most cutting-edge technology on the market. We recommend only manufacturers and products with a consistent track record of performance and match your lifestyle and HVAC equipment to the optimum choice. Our experienced team is factory trained and provides seamless installation, setup, and familiarizes you with operation and features. Let us raise your expectations with the cost-effective switch to a WiFi thermostat. We offer expert service throughout Littleton, Lakewood, Centennial, Highlands Ranch & Englewood, CO.
No more human error – The smart thermostat caters to your schedule, eliminating the need to remember to make adjustments when you’re coming or going. Keep track of things – Whether you’re at home, off the premises, or managing a second home, you always have access through your smartphone, tablet, or laptop. Easy adjustments – If you’ve got your mobile device handy, you can change settings, get alerts, and take advantage of all the many features no matter where you happen to be. Notifications – Alerts for extreme temperature fluctuations, or even if your thermostat is disconnected from its network, allow for superior system management. Energy savings – Letting the thermostat handle your indoor climate reduces energy waste, capitalizes on opportunities to maximize efficiency, and saves you money. User-friendly – Today’s thermostats feature modern screen designs and companion apps which make them easy to operate. Energy tracking – Tracking household energy usage pinpoints when and how you’re spending your money for heating and cooling. Vacation mode – You can easily adjust heating/cooling to accommodate your travel plans without impacting existing thermostat settings. Maintenance reminders – From changing air filters to more serious issues, the thermostat will help you keep your HVAC system running at its best. Outdoor conditions – Enjoy easy access to the current outdoor temperature, humidity levels, and forecast. Indoor conditions – Being aware of the home’s indoor temperature and humidity levels ensures superior adjustment, comfort, and cost savings.